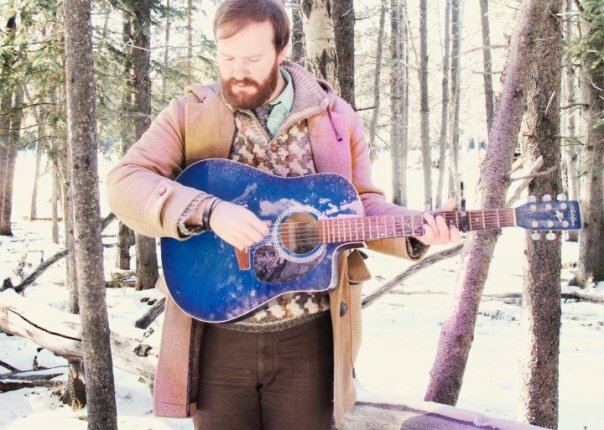 Woodpigeon may be a Canandian band, but the man behind it, Mark Hamilton, has roots and a history that extend much further – across continents even. One only need to look to his last album, 2010’s “Die Stadt Muzikanten,” to see an example. Here, Hamilton returned to his German-Austrian roots, and spent some time working in Berlin, a city which transported him back in time, tugging at the heartstrings of his nostalgia. “It still feels like the most artistically, kind of, alive city that I’ve been to,” he said, a fondness tingeing his voice. It was in this course of writing the songs that later came to be the album’s 15 tracks that Hamilton stepped away from his highly-personal method of writing, instead taking on new personas and functioning as a storyteller. This was perhaps the only way for him to properly connect his present self with his past, but in the time since the album’s release, Hamilton has once again returned to the place of himself as, well, himself. The result of this pulling back is a new album, one which will be likely be out in February or March of next year. “I finished the new record two days ago…and then I hopped directly on a plane,” the 33-year-old said, speaking Monday afternoon from a flat in Scotland. Now begins an approximately two-month-long tour, with a lot of staggering between performances, and, for the most part, Hamilton taking the stage on his own. He elaborated, explaining that 2011 has been more about focusing on playing solo and allowing himself to be a little bit vulnerable, a little bit more exposed. The actual writing process for Hamilton incorporates this idea as well, and he admitted that each album typically consists of about 80% him playing on the track, and 20% other members. But that involvement of other instrumentalists is one of the main ideas surrounding the Woodpigeon project. In fact, throughout the tenure of the band – which once boasted 14 members and now has eight – Hamilton estimated that there have actually been more than 70 musicians who have contributed to the project. Hamilton also said the gradual transformation songs undergo and the way in which the song ideas in his head become a reality is one of the bigger payoffs of that collaboration. Yet even having to narrow down the most satisfying thing about Woodpigeon is difficult for Hamilton. Woodpigeon plays Friday at Wasserturm Kreuzberg in Berlin, as part of the weekend-long Indie Pop Days. The show begins at 19.00. This entry was posted in Interview and tagged Canadian, Feature, Indie Pop Days, Interview, Woodpigeon. Bookmark the permalink.